Smoking could be banned on one of Pembrokeshire’s beaches after councillors voted to hold a formal consultation into the idea. Pembrokeshire would be the first council in Wales to introduce a smoke-free beach. A consultation will now be held to decide which beach should be used for a pilot scheme. Councillors also voted to make the area’s playgrounds and sporting areas smoke-free, including e-cigarettes. All 100 parks, sports grounds and playing fields owned or managed by Pembrokeshire council or community councils will have signs erected asking people not to smoke. The main aim is to try and discourage young people from smoking, and to promote health and well-being. However, smokers say that the move will not make them stop smoking and they will continue to purchase cheap cigarettes. Pembrokeshire is the last council in Wales to do this for play areas, but believes it is the first to include e-cigarettes in the ruling. Cabinet members said the move was not a ban and admitted it would not be enforceable. 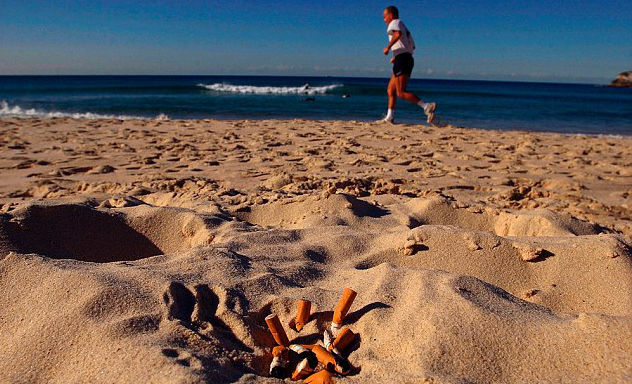 Smoke-free beaches are already common in some states in the US, and also exist in Canada, Mexico, Japan and Australia.